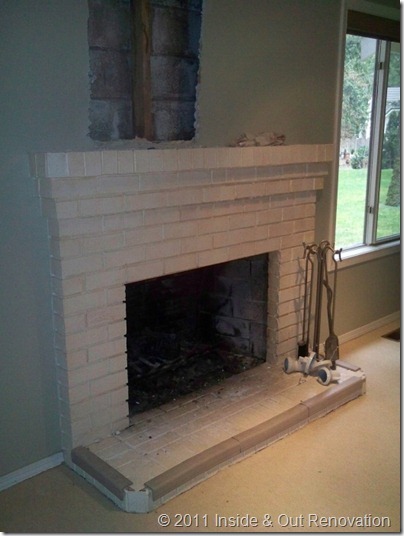 After dealing with a leaking chimney for the winter, this Issaquah customer wanted to dry out and have some real warmth in the family room. They wanted to eliminate the dated brick look and go with a more modern, clean face design. This picture shows some of the damage uncovered from excess water penetrating through the chimney brick. 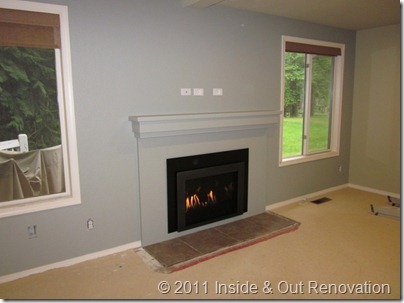 This picture was taken before the customer was able to hang the new TV above the fireplace or have the new carpets installed. The simple modern mantel blends in nicely and will protect the TV from heat.